Home > About....Knowing More > Spanish French > Joyas y Bisuteria de Israel, Judaica , Regalos Judios, Cabala, joyeria judia > Wide Spinner Rings > Spinner ring for woman spinning ring for man Bluenoemi Rings. 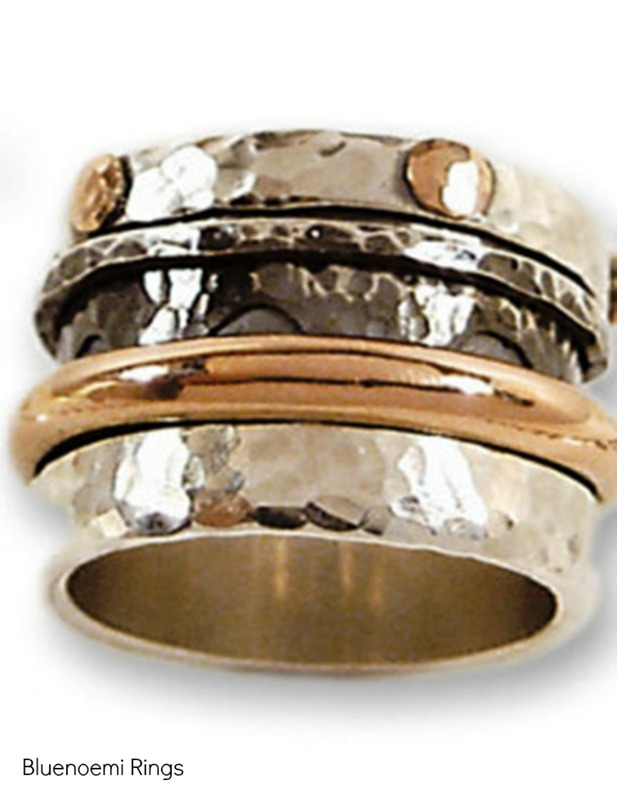 Spinner ring for man - stackable ring. The ring has different texture bands in 2 colours. The ring is about 1.7 cm wide. 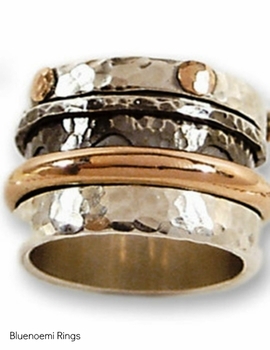 Sterling Silver 925 and solid gold in 9 carats are used to create this designer handmade vintage look spinner rings. This amazing ring is created by several smaller bands that spin on a sterling silver base ring.